FEC Builders is part of iPlayCO Group of Companies. We create and deliver full Turnkey solutions to our customers. Our expertise is more than 20 years creating and delivering successful business projects and solutions. With our dedicated International team of professionals Business Analytics, Project Managers, Designers, Architects, Marketers, Technical Specialists and highly qualified Production Team our customers are well assured about their investments. We work closely with our customers. Each solution is customized and tailored to meet our customer’s needs. We do believe that the key for a successful business is the collaboration between our team and our customers. From the Research Phase to the Grand Opening, you can depend on our support and expertise to help you reach your goals. Proper planning and operational services allow us to ensure the maximum number of guests and throughput of your visitors to assure maximum revenue streams are created while considering the safety and comfort of your guests. The guest experience starts before they enter your facility and continues after the leave. All of these elements factor in to your brand and entertainment valuation determined by each guest. 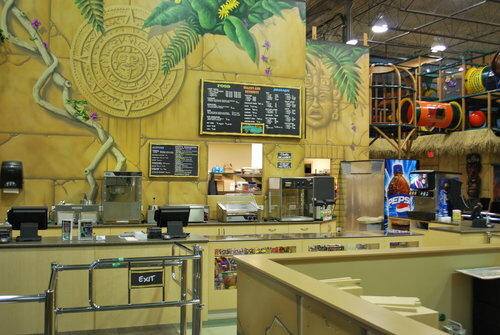 Attract, serve, and retain your guests from the moment you open your new facility or attraction. Services include a review of the location for concept design and planning purposes, project supervision, operational systems and training, budget planning, manager and supervisor training, maintenance reviews, brand and proprietary considerations, signage and more.